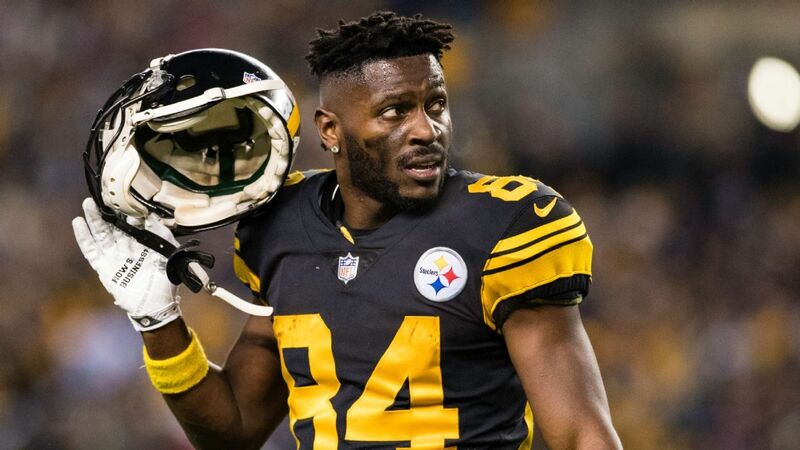 Wide receiver Antonio Brown has a new team with the Raiders, but apparently he can’t let go of the past. The former Pittsburgh Steeler has taken to social media to lambast his former teammate, JuJu Smith-Schuster. It has taken the second-year player by surprise. Smith-Schuster expressed nothing but admiration and support for Brown while he was with the Steelers, and the attacks on Twitter have seemingly come out of the blue. The first one was two weeks ago. Brown didn’t mention his fellow wide receiver by name, but the dig was implied. “Do not listen to any NFL player who haven’t got paid yet! They will do and say anything to make sure they going to get paid even if it’s compromising integrity or anything ! sad but true,” Brown wrote. Brown didn’t leave it with the one post. He added one on Sunday that read: “ Keep your emotions off the internet.” Some Pittsburgh fans responded with less than flattering replies. It was a reference to the Steelers game against New Orleans in Week 16 where Smith-Schuster had a late-game fumble that led to the team’s loss. They eventually missed the playoffs. The 22-year-old could no longer hold his tongue, but instead of lambasting Brown, as most would be tempted to do, he posted thoughtful retorts. His first was throwing Brown’s own words back at him. “Keep your emotions off the internet,” he wrote. He followed that up with questioning why Brown would attack him. It appears most players and fans are taking Smith-Schuster’s side. They are posting on Twitter or going to the airwaves to show their disappointment in Brown. Former teammate Ryan Clark was on a sports television show and didn’t straddle the fence on who he felt was to blame.